It is the biographer’s blessing (or curse) that the subject who once occupied every waking moment – and most dreams – never leaves you. This International Women’s Day, Eleanor Marx was a strong presence in my thoughts. Eleanor’s socialist sisters of course founded this traditional celebration of the woman’s cause as International Working Women’s Day in 1911 in the United States, some years after her death. It was a country whose abundant appeal, inequalities, and contradictions were well-known to the youngest daughter of Karl and mother of the Gasworkers’ Union even in the late 1880s. And what ironies she would have observed in 2017. There is no greater symbol of the national myth of the modern U.S. than the Statue of Liberty erected in 1886, witnessed by Eleanor Marx as she sailed into New York Harbor for the first time. Famously, it is inscribed with the sonnet: “The New Colossus,” by Emma Lazarus, an American descended, like Eleanor, from migrant German Jews. And yet the 45th president of the United States seems to have as much contempt for migrants, Muslims, and Mexicans as he does for women. An early and now infamous act of the new leader of the free world was the reinstatement of the “global gag order” banning U.S. NGOs from offering abortion advice to women around the world. 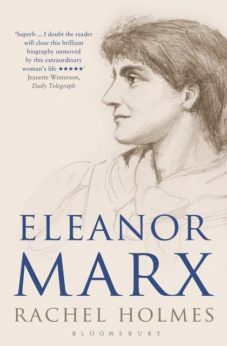 Eleanor Marx campaigned, spoke, and wrote extensively about women’s reproductive rights and the necessity to reform the patriarchal family. The symbolism of Donald Trump signing the executive order flanked by half a dozen men in grey suits will not be forgotten in a hurry, and is in marked contrast to the ranks of women active in the socialist and labor movements from the 19th century on both sides of the Atlantic. When you combine this with the president’s legendary proud and obscene misogyny and his having won the White House from a female favorite, it is surely enough to make even Lady Liberty weep. But is the woman’s lot so much better closer to home and even under Britain’s second female prime minister? 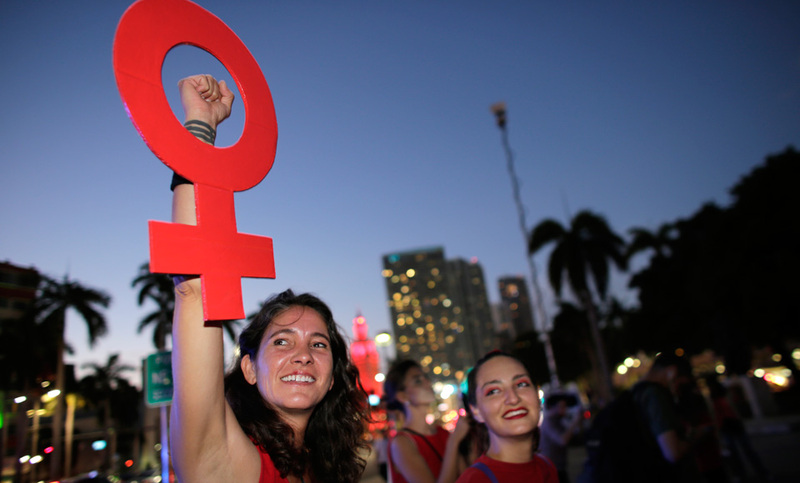 This year’s International Women’s Day was the date selected for the delivery of the Budget. The Woman Question was Eleanor Marx’s statement on the relationship between feminism and socialism in which she aimed to show how one was an integral necessity and not just an aspect of the other. 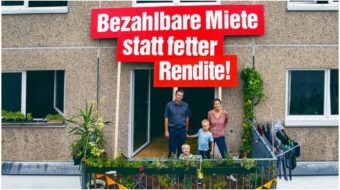 It is a manifesto as significant as, and more practically programmatic, than The Communist Manifesto, written many years earlier by her father and her “uncle” Engels. 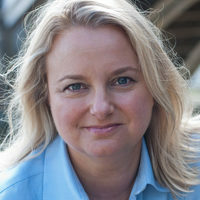 Rachel Holmes is the author of the biography, Eleanor Marx: A Life. As Eleanor had learned from Engels’ own superb radical feminist study, The Origin of Private Property, Family, and the State, and August Bebel’s Women and Socialism, sexual inequality is as much a question of economics as it is of biology and the social organization of societies. May’s promotion of professional Tory women in her Cabinet and her lip service to the need for the fair play of equal pay cannot begin to compensate in reality for the millions of working women made poorer in real terms by her policies of drastic austerity, hard Brexit, and the destruction of our National Health Service and social services. The Woman Question was published on the eve of the founding of the Second International in Paris, where both Eleanor Marx and Clara Zetkin took the main platform to speak on women and labor. Zetkin, the “Grandmother of German Communism,” was one of the original proposers and organizers of International Working Women’s Day. In 1932, as the oldest member of the Reichstag, tradition required that she open the parliamentary session – which she did with a 40-minute counterblast against Hitler and the Nazi Party. 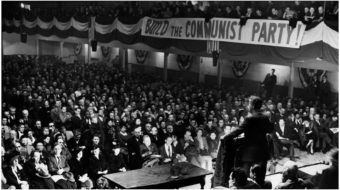 Nearly a century ago, women like Eleanor Marx, Clara Zetkin, and Rosa Luxemburg occupied the public sphere and claimed political power and authority equal to their male compatriots. Today, figures like Trump and Putin represent an attempt to reclaim male mastery with excessively masculine, patriarchal, and long-ago bankrupt values that not only seek to silence women and drive us from the public sphere, but sanction the worst forms of trolling and hate speech, given the unregulated platforms of social media. How would Eleanor and her sisters have responded to this new attempt to intimidate and muzzle working women and their advocates in 2017? Rachel Holmes is the author of Eleanor Marx: A Life, from Bloomsbury. This is an edited version of an article that originally appeared in Morning Star. Rachel Holmes is a writer living in London. She is the author of “Eleanor Marx: A Life,” published by Bloomsbury in 2014. Holmes is also the author of “The Hottentot Venus: The life and death of Saartjie Baartman” (2008) and “The Secret Life of Dr James Barry” (2007). She is currently writing a book about Sylvia Pankhurst (1992 – 1960), the English campaigner for the right of women to vote in public elections, and, later, an activist in the cause of anti-fascism.